Notice Forms are a great way to make sure your message is heard loud and clear and (most importantly) professionally, in many scenarios. If you are the landlord of a rental property and you have a problematic tenant, you are in the same place as an employer who has to fire an employee. An eviction notice is the way to go. 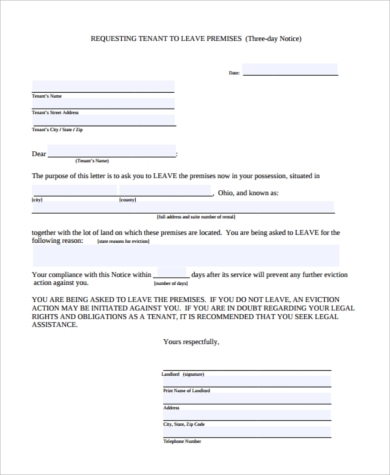 It is a legally binding document that can allow you to lawfully kick someone out of the premises, once all other legal and informal measures are taken. Not sure where to start? 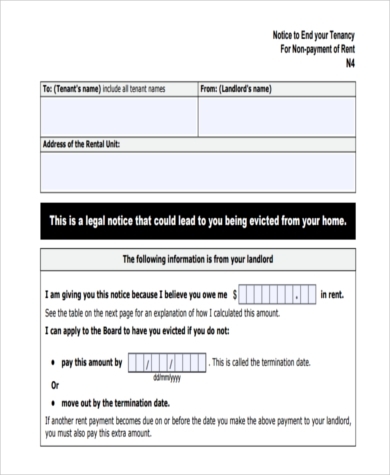 Here is a list of free templates for eviction forms you can choose from and download for free. 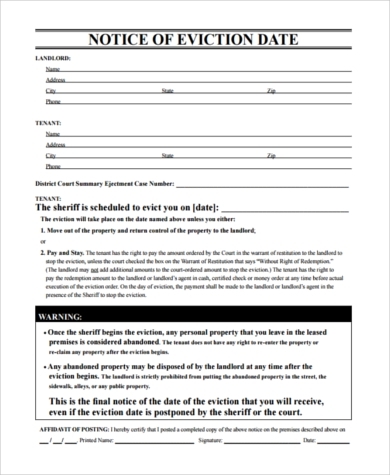 We have included the most accessible, simple, easy, and ready-to-use eviction notice templates for your convenience. Most of them can be downloaded and printed right away with little to no modification necessary. Just make sure the details are accurate – perhaps the year is different or the tenant is not paying in dollars. It is a simple matter to download as free PDF files and edit using your favorite PDF editing program before printing. 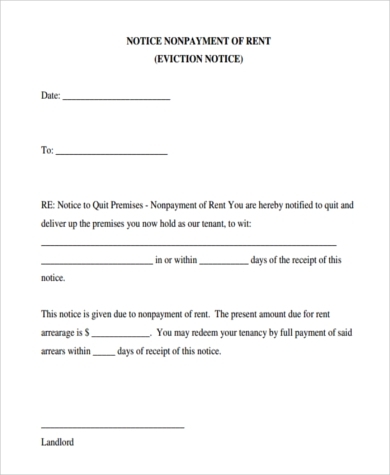 Roommate Eviction Notice Form. Used to evict a tenant that shares the same apartment as the owner. 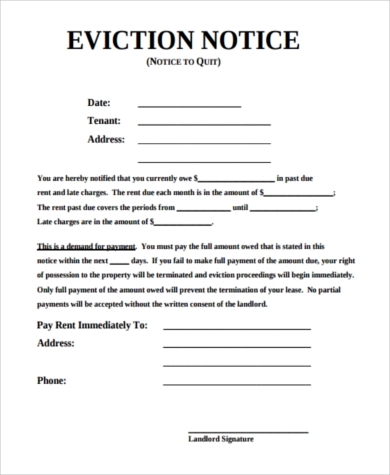 Three Day Eviction Notice Form. 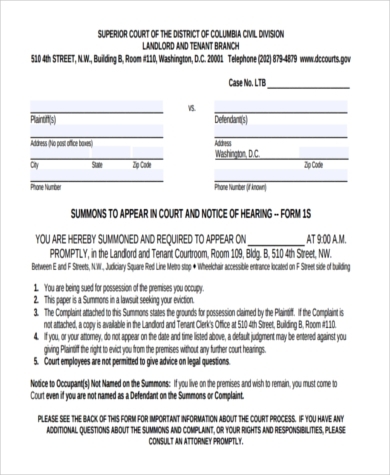 One type of several types of notices that demand the tenant must either pay, comply, or vacate within the given time frame (in this example, within 3 days), depending on the cause for eviction. 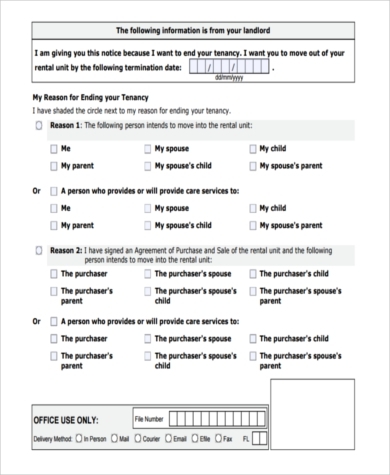 A “no cause” notice usually is in the form of a 30 Day Notice to Landlord Forms. Baby Eviction Notice Form. This is when the landlord wishes to notify the tenant s/he is being vacated for another specific, special-interest person to move in – and in an explicit, clear, professionally controlled manner. There are other areas of life in which we must make more difficult announcements. Employee Warning Notices, for instance, are for the purpose of informing an employee or subordinate that his committing of an action in violation of the office’s code of conduct has been filed and recorded. Should that employee commit an offense of a similar nature, or a more grievous one, then he will in all probability face a much steeper penalty – suspension or dismissal even. 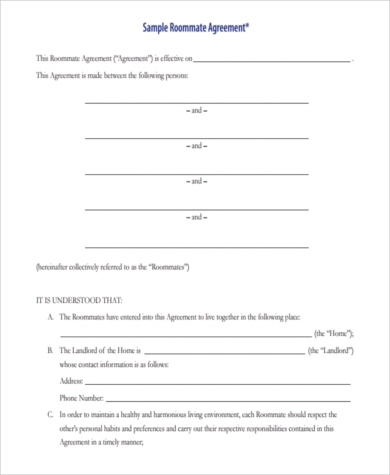 These forms – typically accomplished in two copies: one for the employee for their personal record, and the other for the employer – ensure that an employer has proper documentation just in case the employee files a complaint with the local labor office for illegal dismissal. If such an instance happens, the employer can present their copy of the Employee Warning Notice to the proper authorities for the purposes of proving to them that the employee’s dismissal from the company was not without basis.